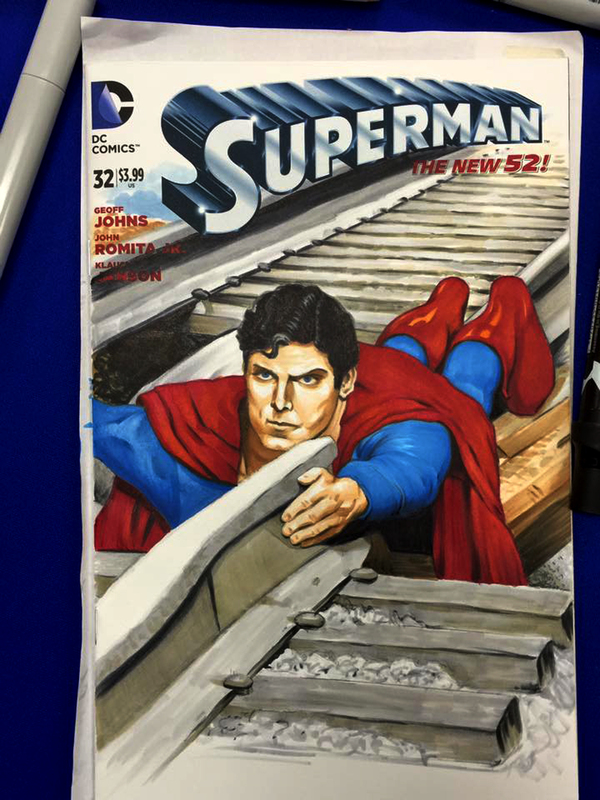 Things Were “Sketchy” For Me At This Year’s Metropolis Superman Celebration- And I Loved It! 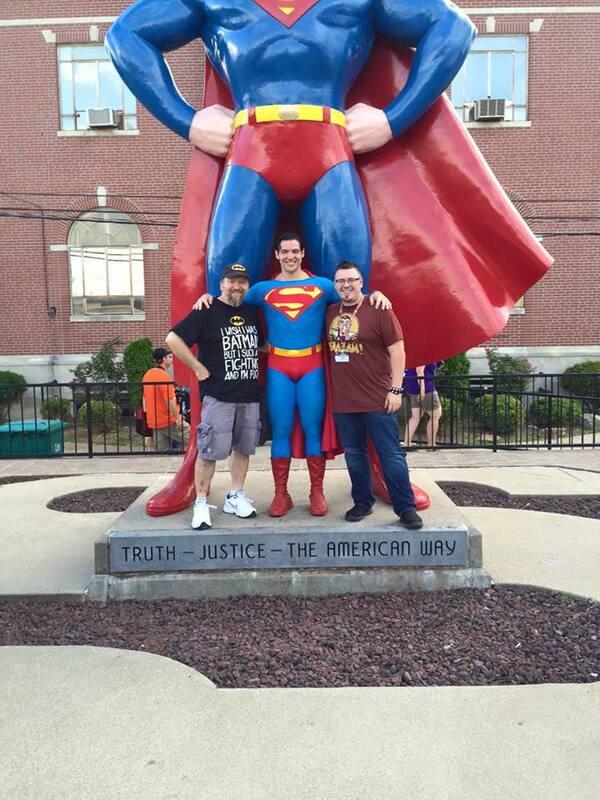 The second weekend of June I headed back up to Metropolis, IL for the annual Superman Celebration. 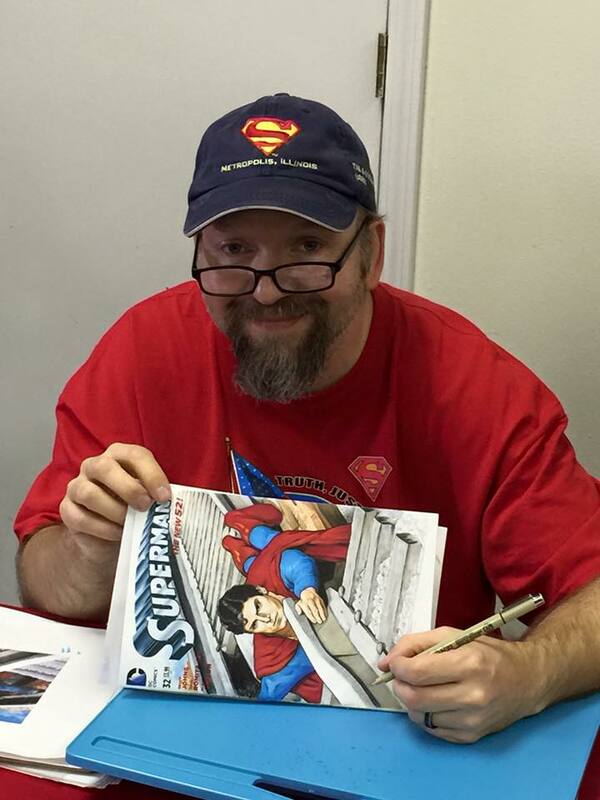 I’ve been going since 1999, and was a guest artist for several years starting in 2005. I missed last year due to my day job. 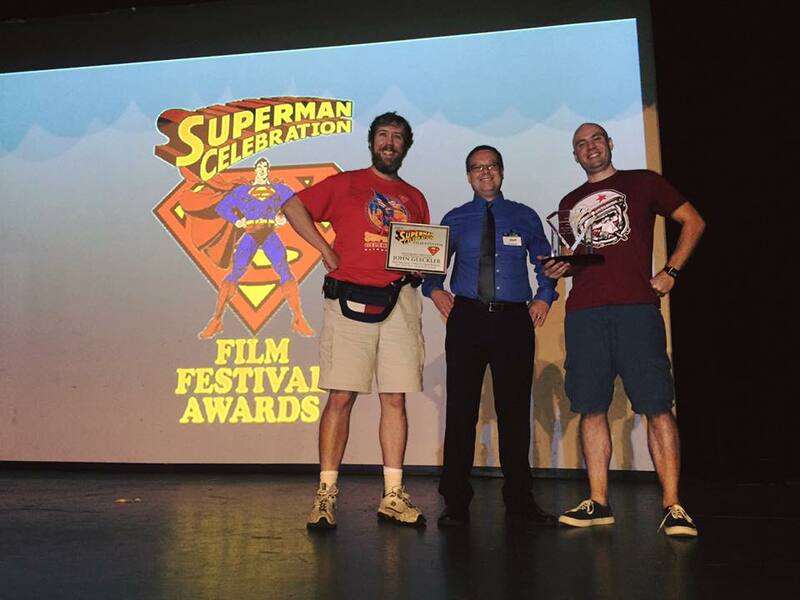 This year I was able to get the weekend off so I went up to help my friend Tim Brown with his Superman Celebration Film Festival Awards and outdoor film showings and to just hang out and run around as a fanboy in Metropolis. You miss so much of the celebration sitting behind a table all weekend so I was looking forward to checking out the many events going on around town. 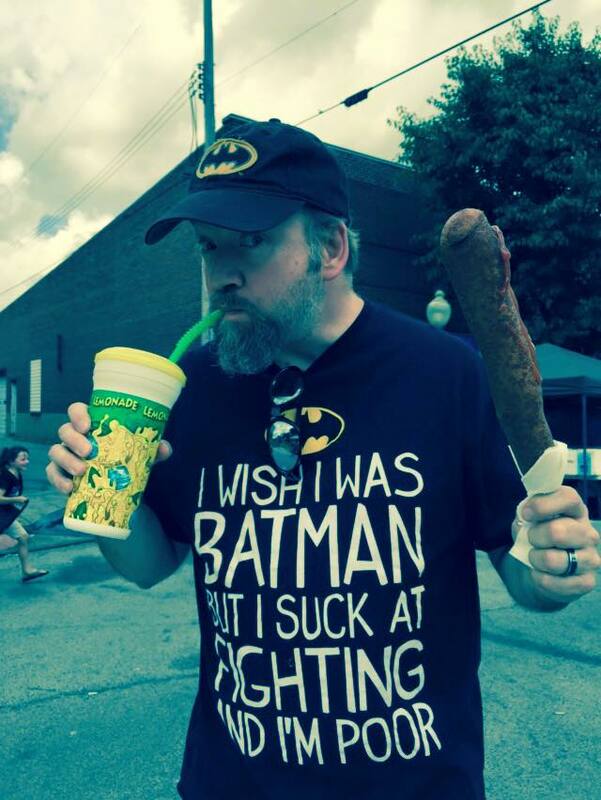 When I wasn’t helping Tim or the folks at the chamber on Thursday, I got the chance to explore, take pics, and do one of my favorite things at the celebration- eat corndogs and drink lemonade shake-ups! 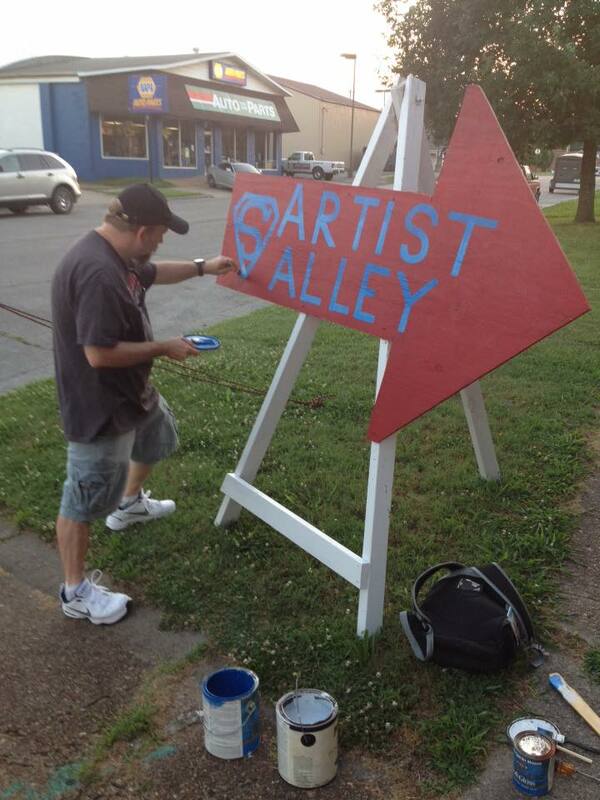 I also helped paint a sign to direct folks to Artist Alley. Later I hung out and kept an eye on the space while some of the artists and writers came in to set up. 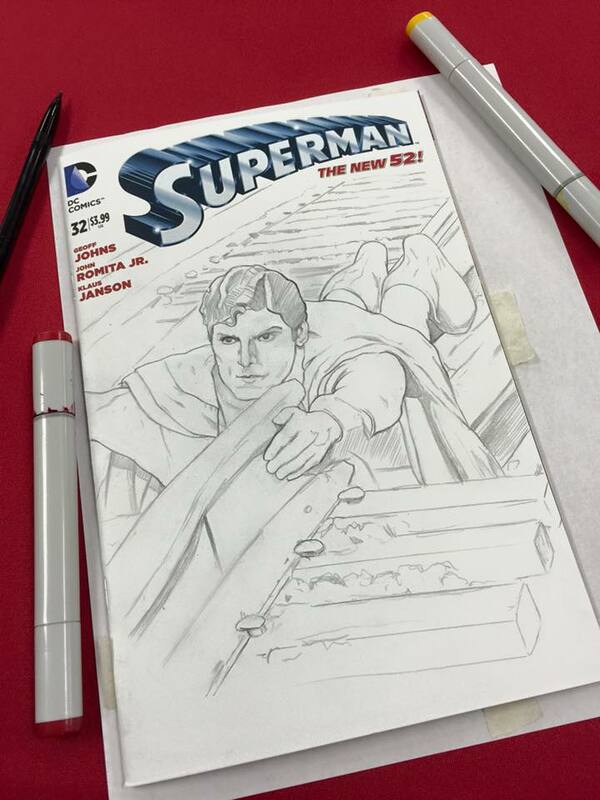 That building has some of the best A/C in Metropolis so it was a comfortable place to sit and draw a bit. I’ve been working so much overtime at my day job I really haven’t gotten a chance to just sit and draw in a while. I had brought along some of my markers and sketchcovers to work on in the hotel at night and took advantage of this well lit and cool spot. It was very relaxing, and started to feel like a vacation. On Friday, one of the guest artists had travel problems and was going to be delayed getting into town, so Karla and Lisa who are the co-chairs of the celebration asked me if I’d like to set up. 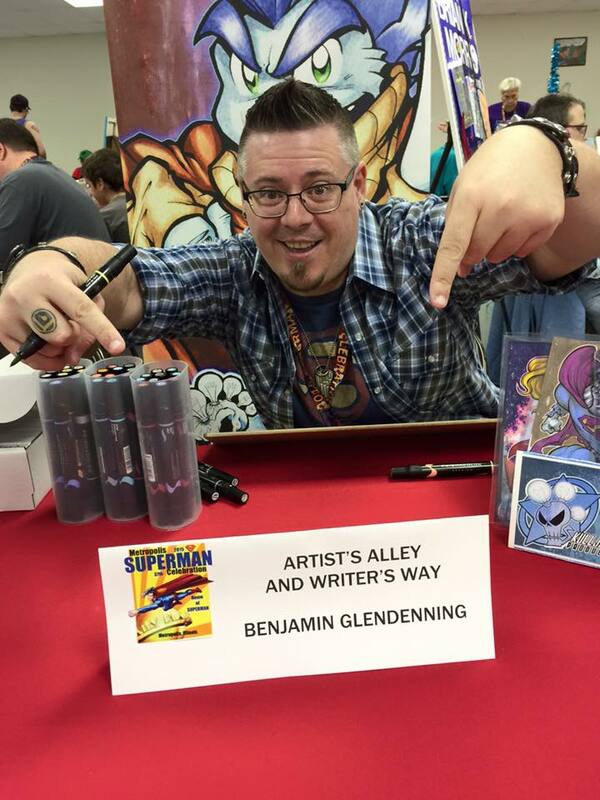 I hadn’t intended to set up in Artists Alley/Writers Way this year, but I did have my sketchcovers with me and was looking forward to talking to some of the folks there. 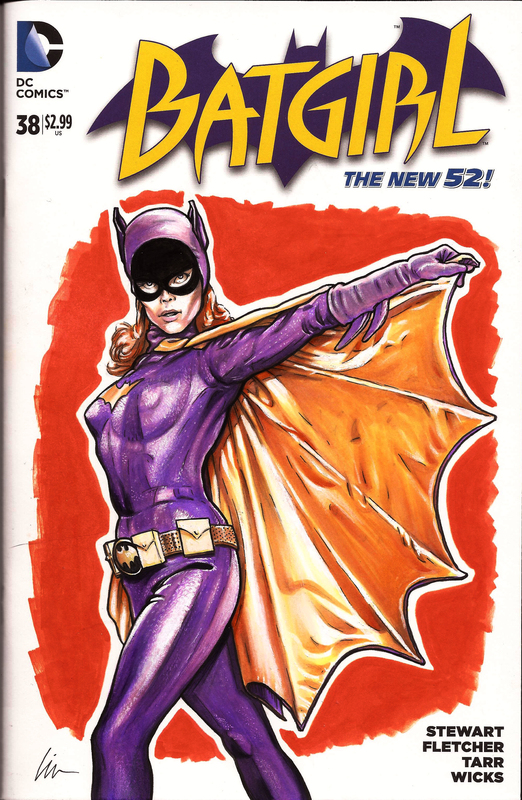 I ended up selling my Yvonne Craig Batgirl cover to celebration regular and fellow bat-fan Jim Dunn first thing. He was waiting outside for AA/WW to open up when I got there and we got to catch up a bit while everyone else was getting settled. 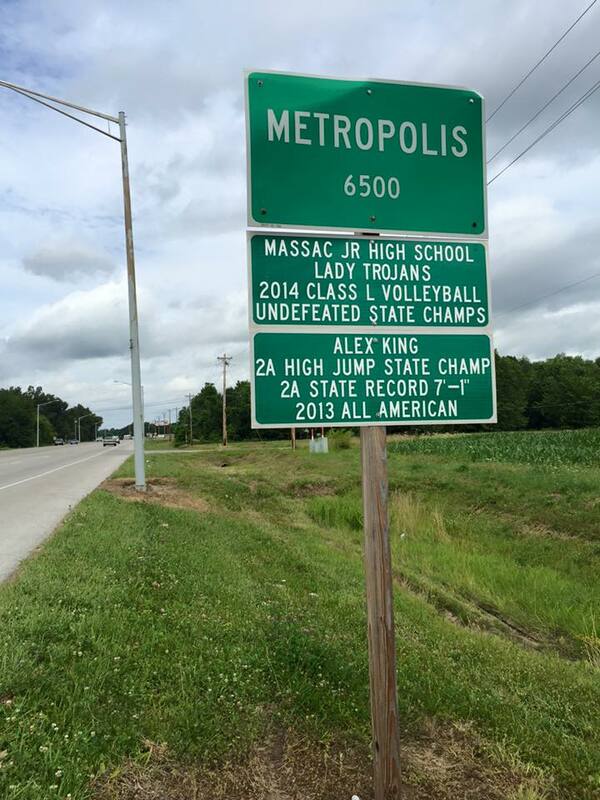 …and Lonnie Easterling. 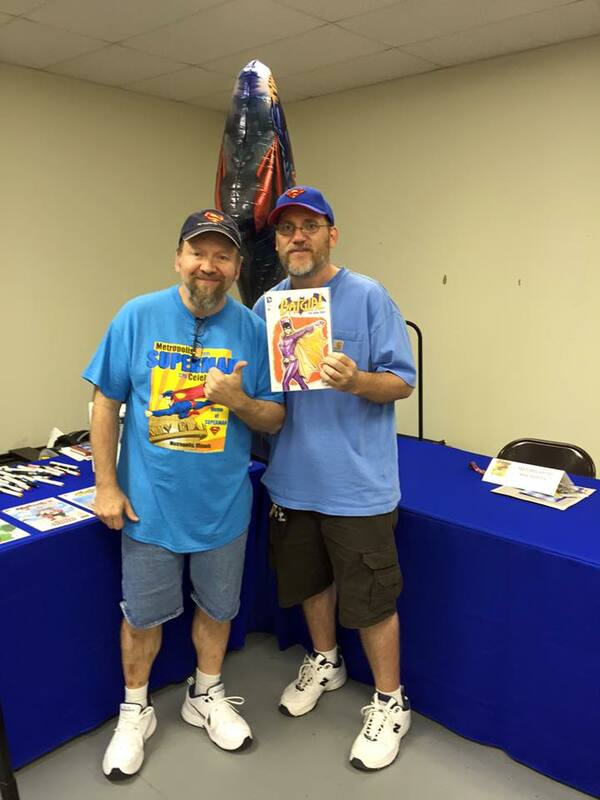 Got to see some of my other comic creator and artist buds like Jim Hall, Trevor Hawkins, Brian K. Morris, Sean Dulaney, and John Jackson Miller, too. 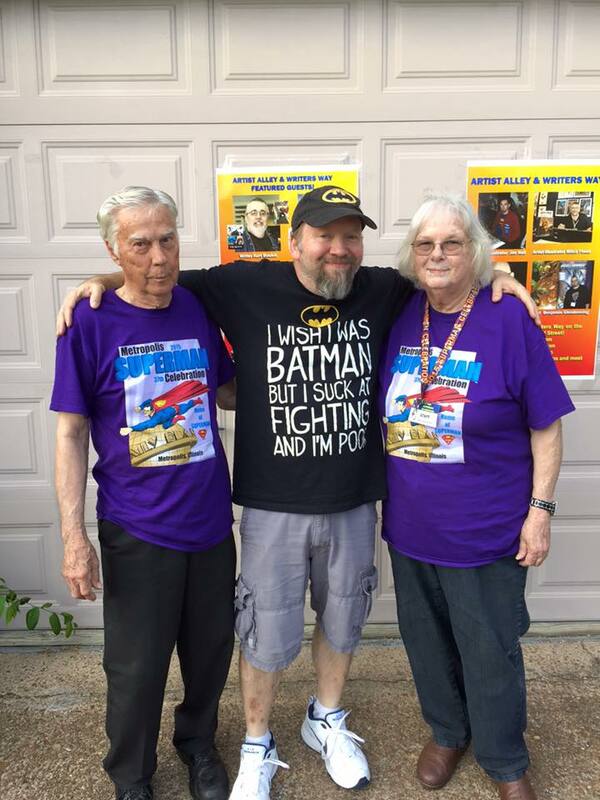 Saturday I moved down a couple tables and hung out with Karla and Lisa’s dad Papa Cliff and their mom Mama Wanda. They look out for the guests artists and writers and help answer questions for visitors and hand out programs, Planet newspapers, and other freebies. Always glad to get some time to talk to them and catch up. 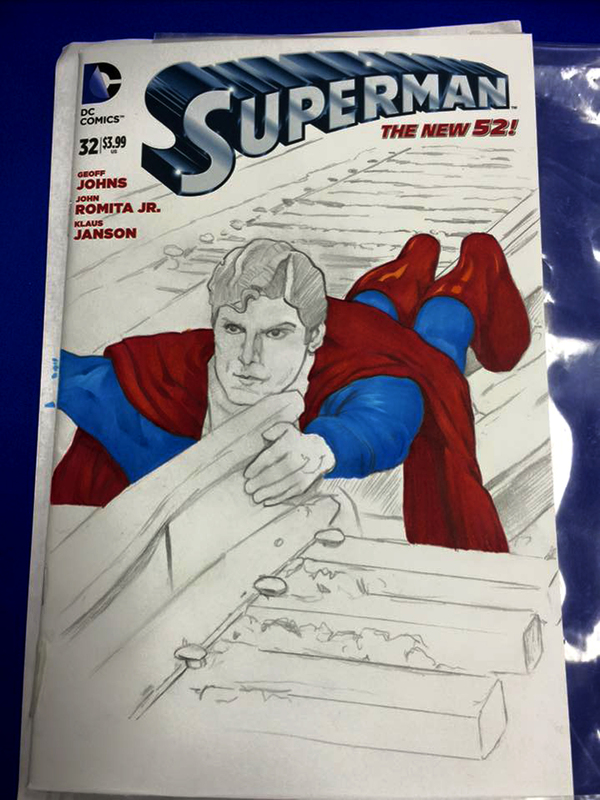 I had brought a Superman sketchcover with me and worked on it here and there over the weekend. Started off with pencils, then Copic and Prismacolor markers for colors, detailed it with Micron pens for inks, and finished up with Copic white and a white Prismacolor pencil for highlights. 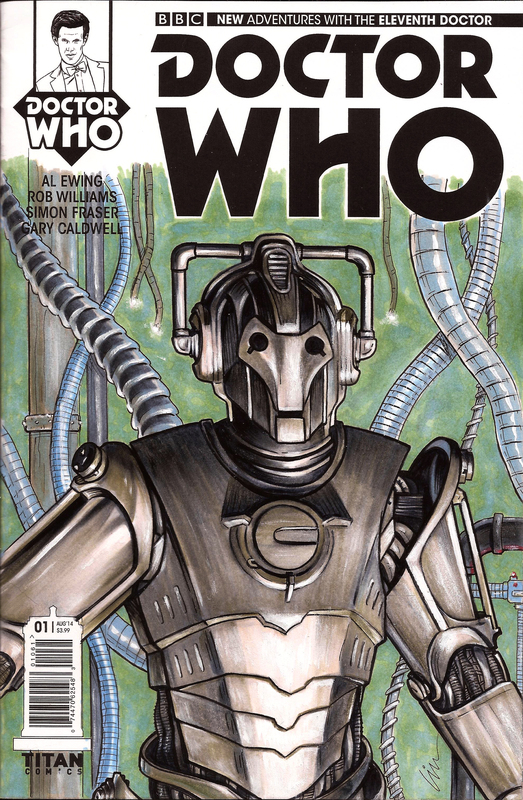 i’m slow and easily distracted so I didn’t get more covers done like I had hoped, but was glad to be able to finish this one Saturday. 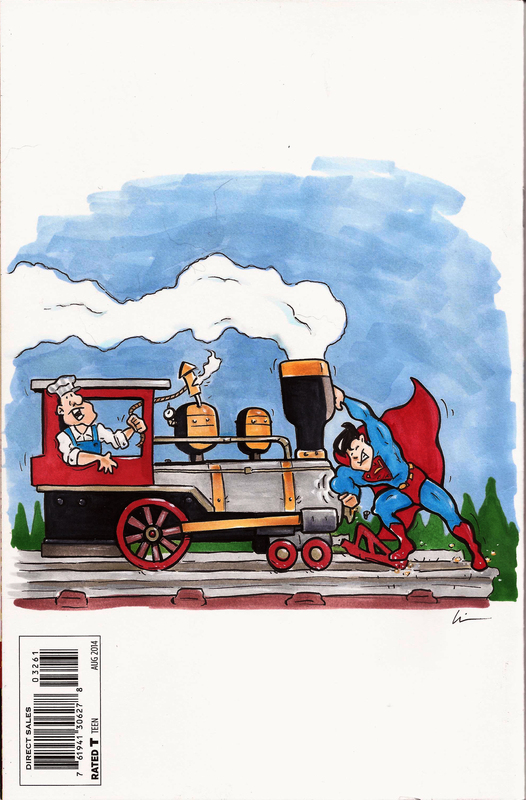 Here’s the final comic- front illustration of Christoper Reeve from “Superman: The Movie” and a back toon featuring my Superkid/Superman. 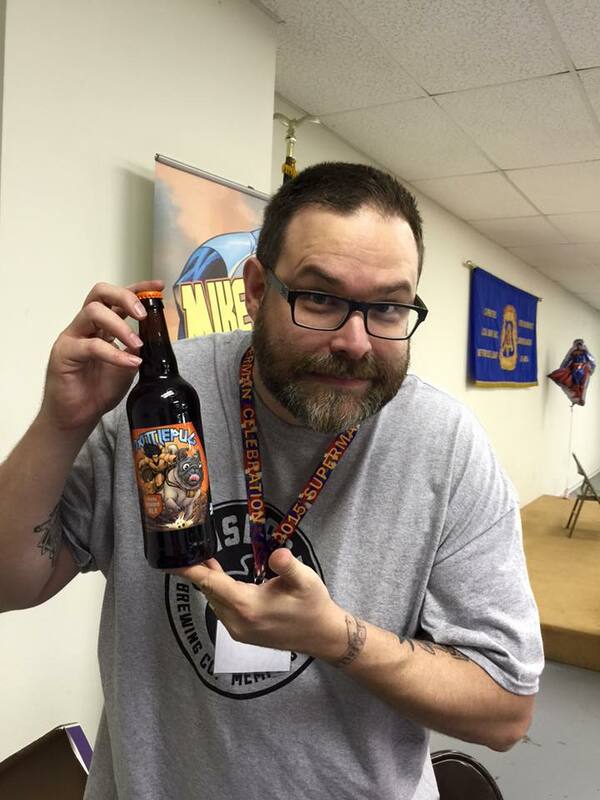 Sold it when I got home to Memphis Comic Expo/Donnie-Con founder Donnie Juengling. 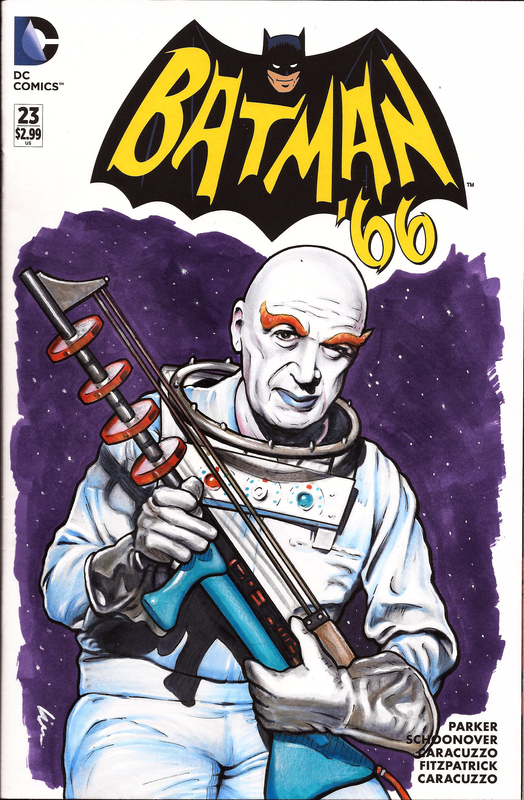 He owns a few of my sketchcovers now! 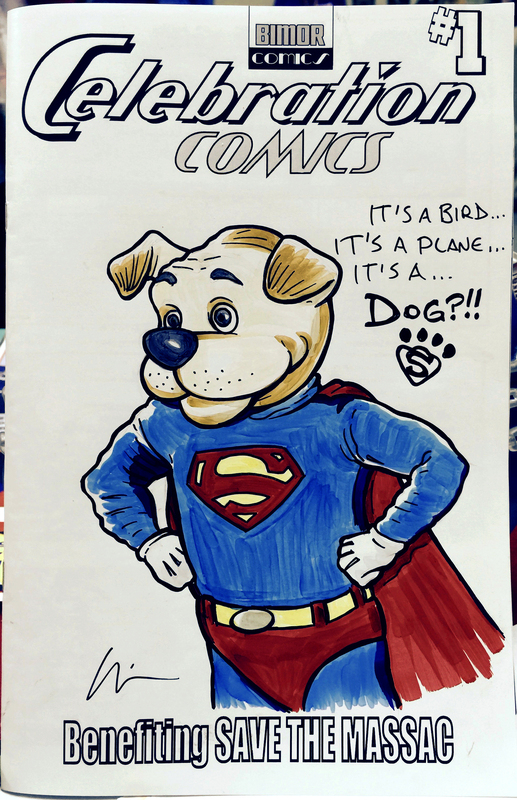 On Saturday I also got to draw a Super-Pup sketchcover for that night’s Save The Massac Theater charity auction. 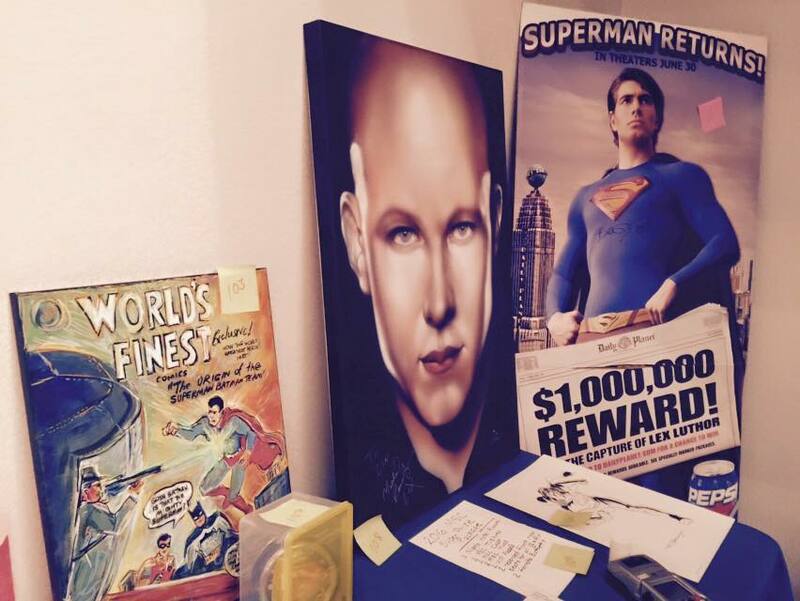 The auction had over 100 other items up for bid, including toys, collectibles, art, and even a Superman clock owned and signed by Noel Neill/Lois Lane. 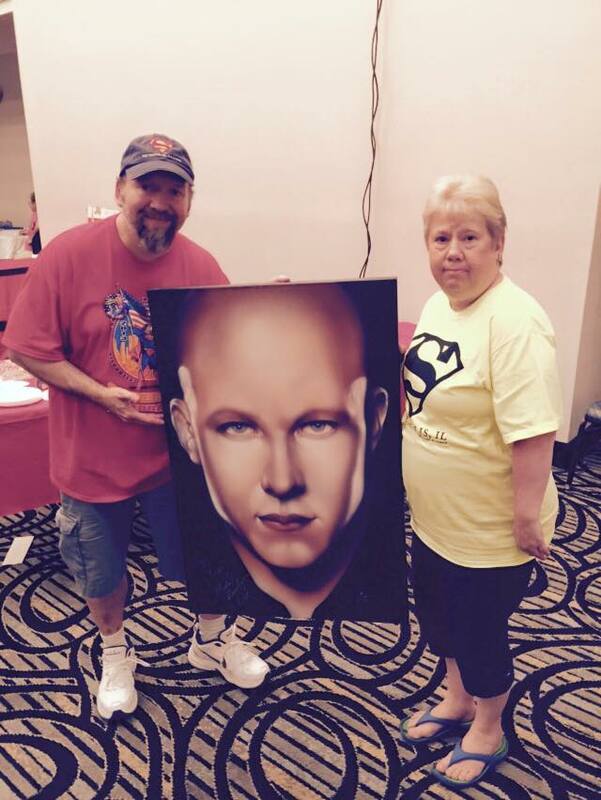 I decided to donate my Michael Rosenbaum/Lex Luthor airbrushed painting. 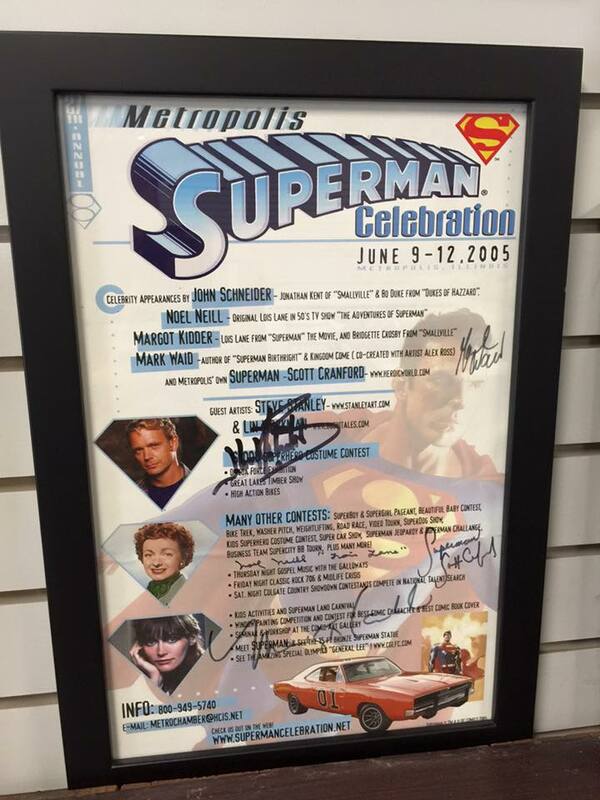 I had gotten it signed by Michael in Metropolis a few years ago, and had it hanging in my office at my old day job. Since I recently re-did my home studio I just didn’t have the wall space for it anymore, and I hated that it was sitting in the garage all wrapped up. 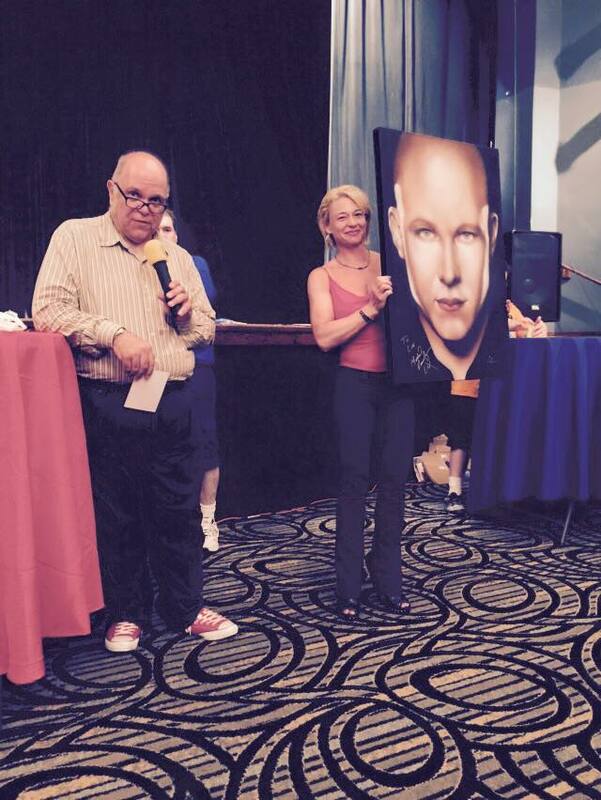 It was one of the last items up for bid that night, and couldn’t have gone to a bigger Rosenbaum fan! 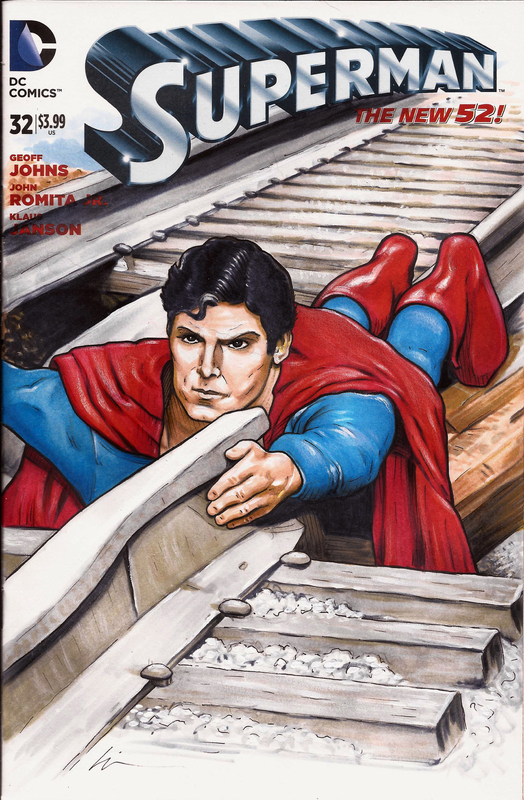 Kathy has had her eye on the painting ever since I first displayed it in Metropolis. Glad she got to take it home with her. 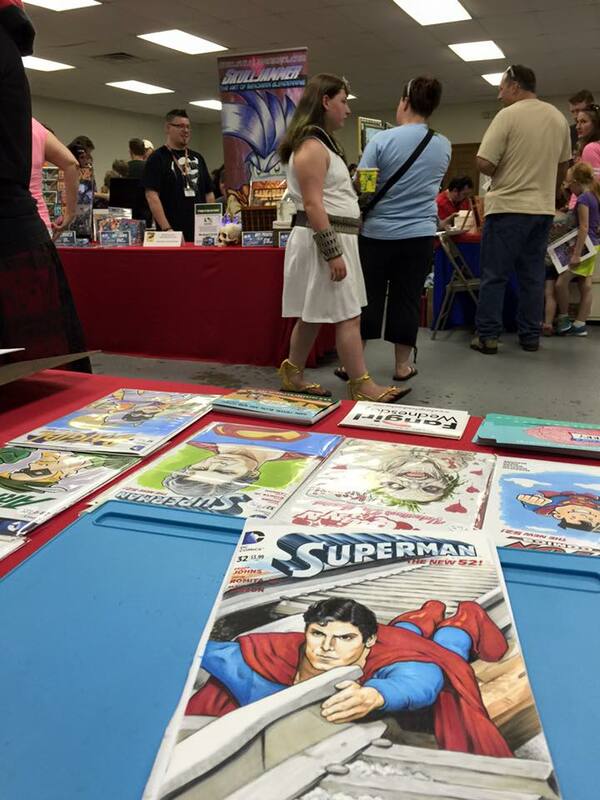 All the money raised went to help rebuild the Massac Theatre in Metropolis. Can’t wait until we get to hold events like this and the film fest there! 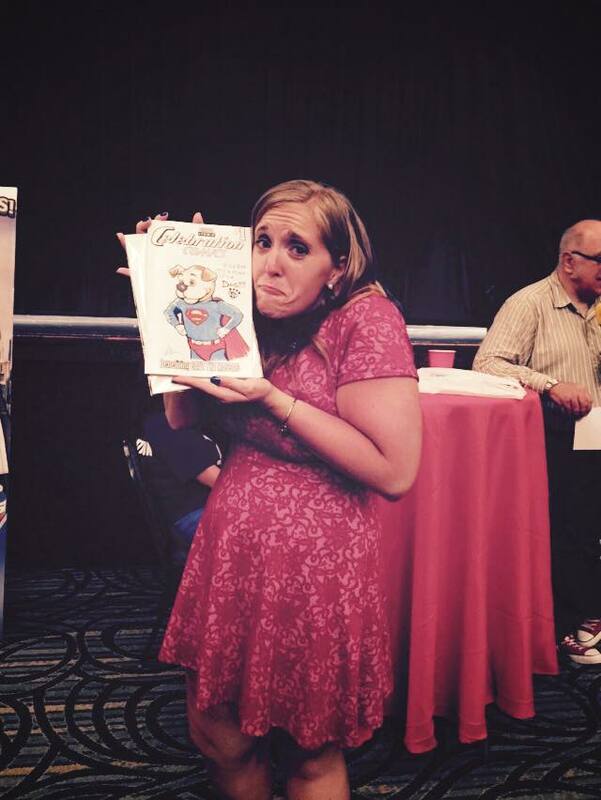 I got to take home a Lex, too- but that a different story! 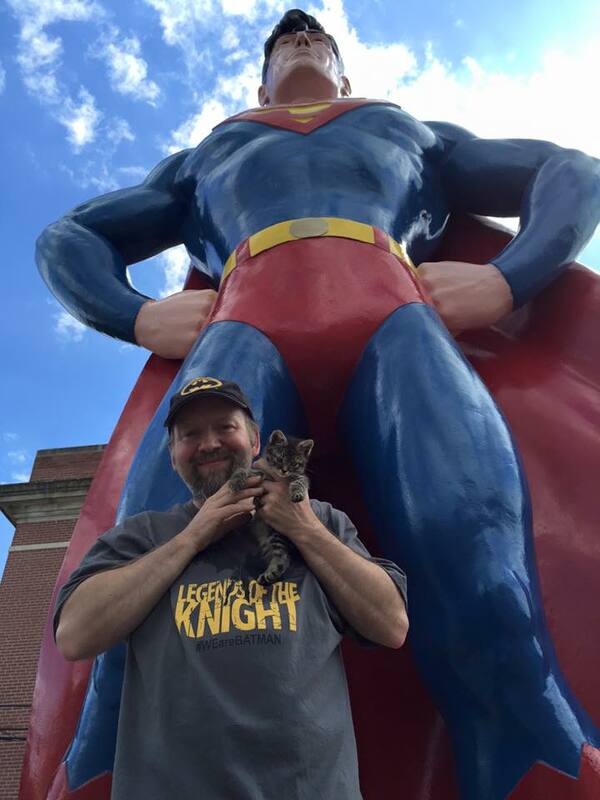 I’ll post more about that and my further Metropolis adventures on my Have Geek, Will Travel blog. The first one I did was a Mr. Freeze. 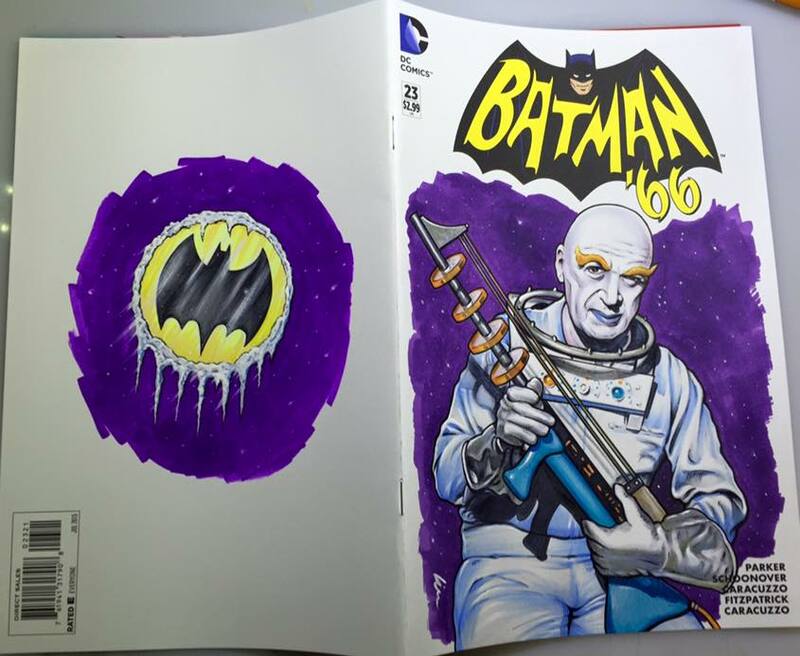 Front and back illustrations done in markers like the Superman and Batgirl sketchcovers. 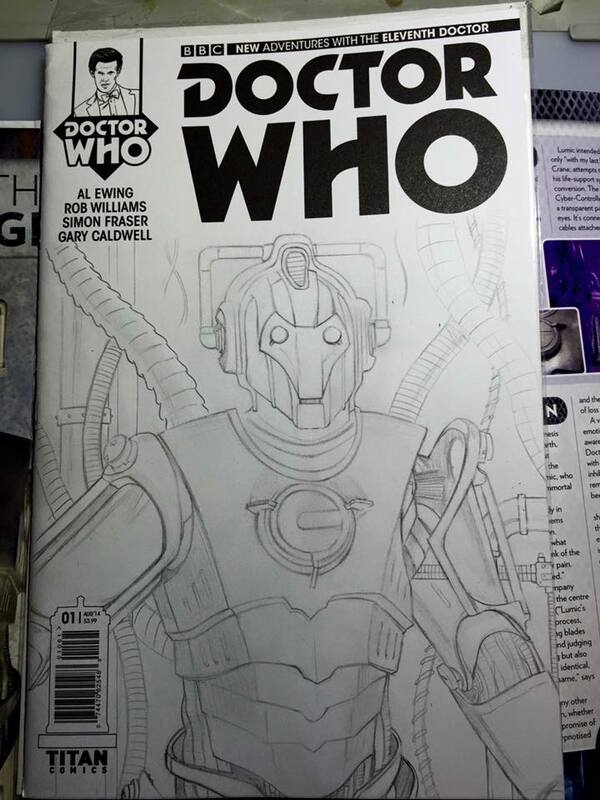 Just finished a Doctor Who Cyberman sketchcover tonight. 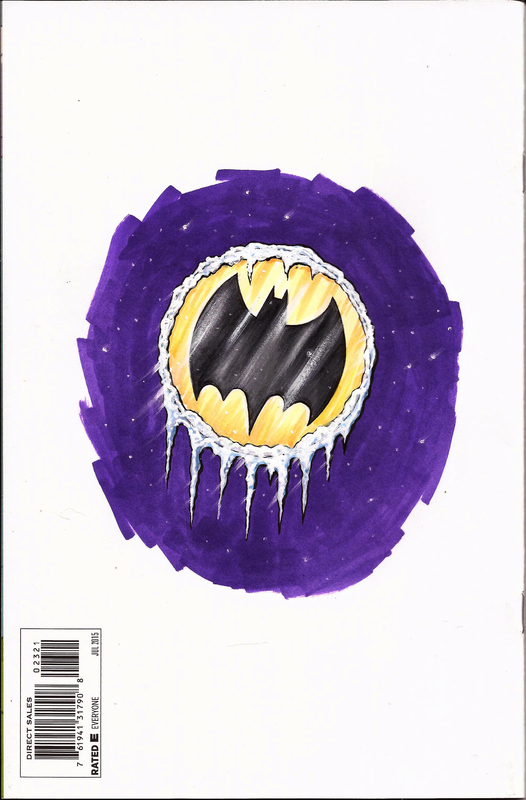 Hope to have a few more Who covers and sketchcards done in time for ConKasterborous in a couple weeks. 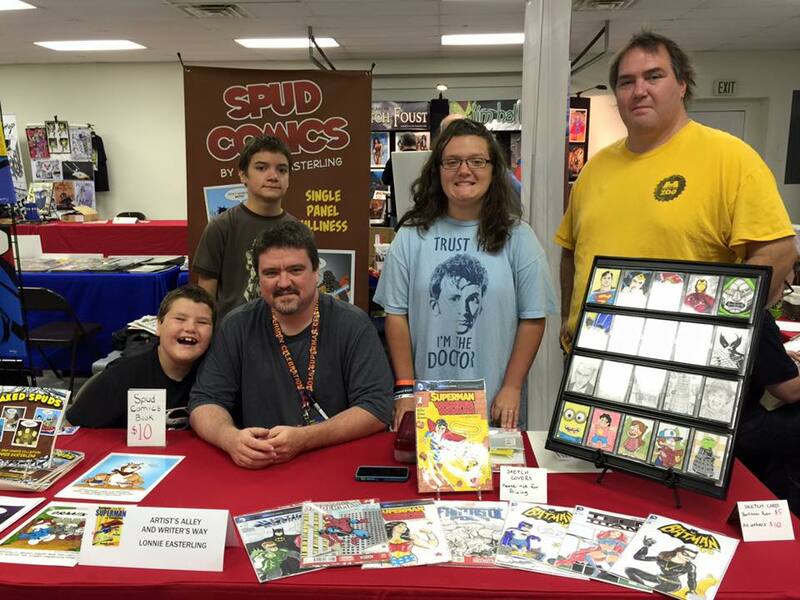 I’ll have a table there again this year. Nicki and I really enjoyed our trip there last year. 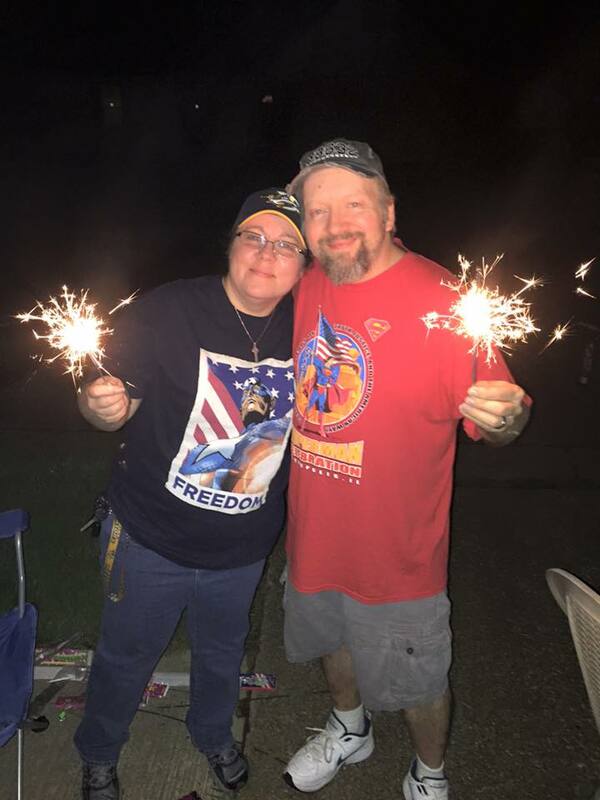 Hope you all had a safe and happy 4th of July!